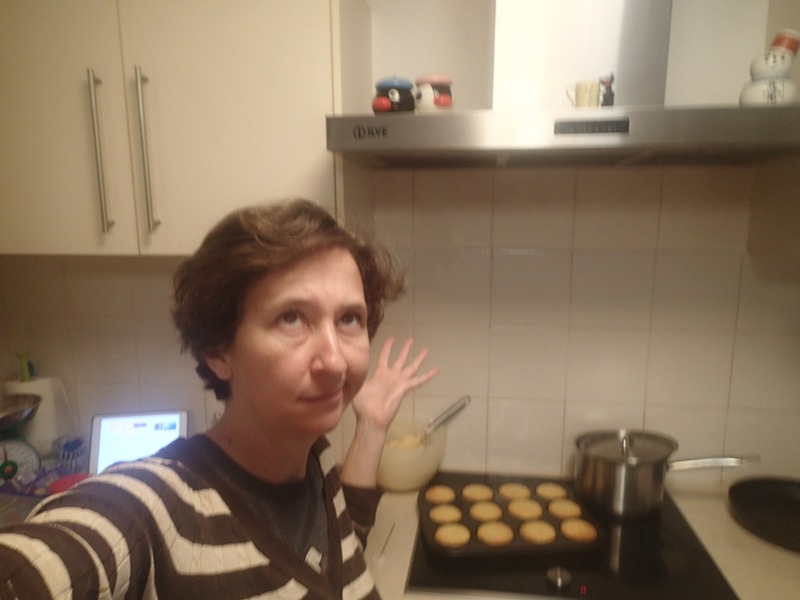 I was on morning tea duty at work last week. I always seem to be rostered on when I am having an incredibly busy week. 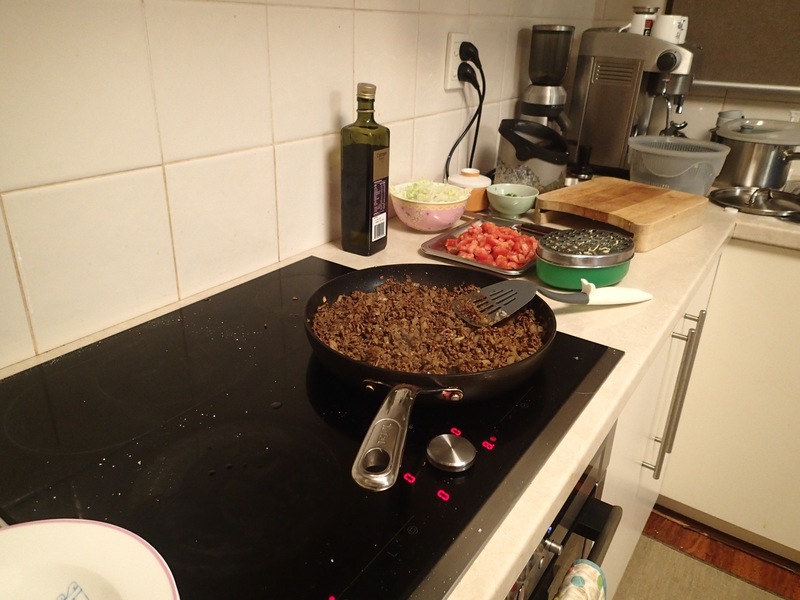 And every time I say “I’m just going to buy some things”… then, the next thing I know, it’s 9pm on Thursday night (morning tea is on a Friday) and I’m in the kitchen frantically trying to finish cooking and going slightly mad. 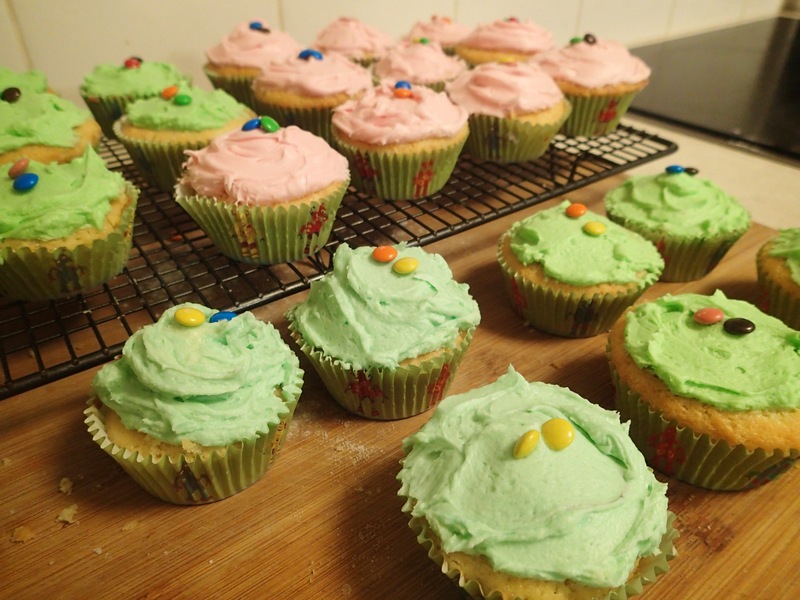 I found this recipe for Surprise M&M Cupcakes and I couldn’t resist making them. Such a great idea! 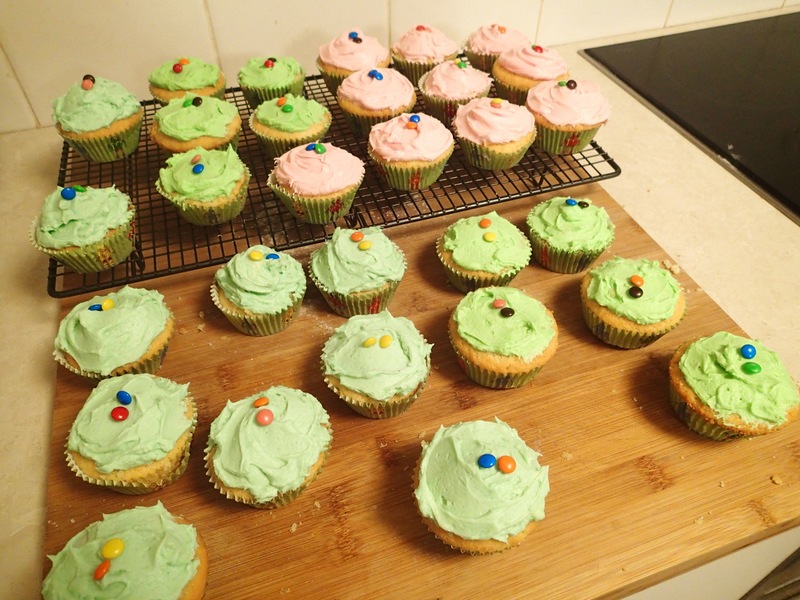 They turned out great and were a bit hit at morning tea. 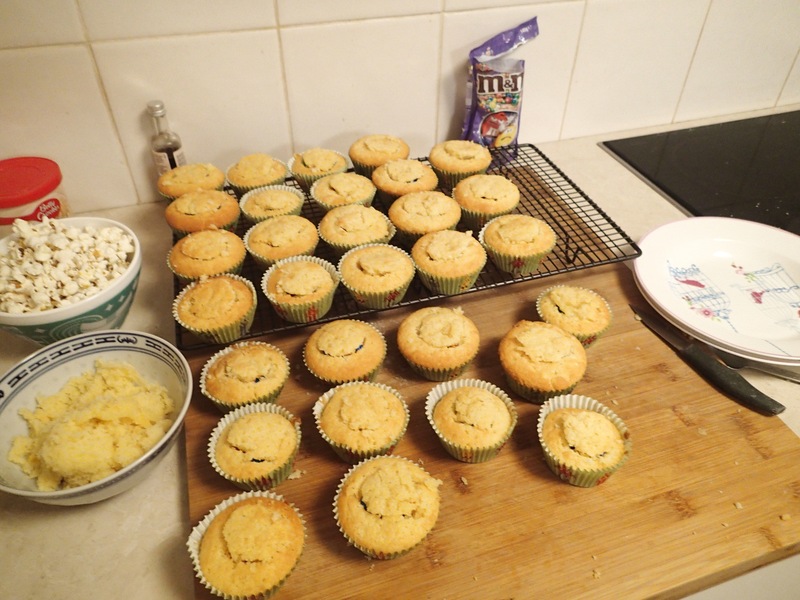 I wanted to take credit for their amazing-ness, but in reality, I just followed a recipe on the internet. 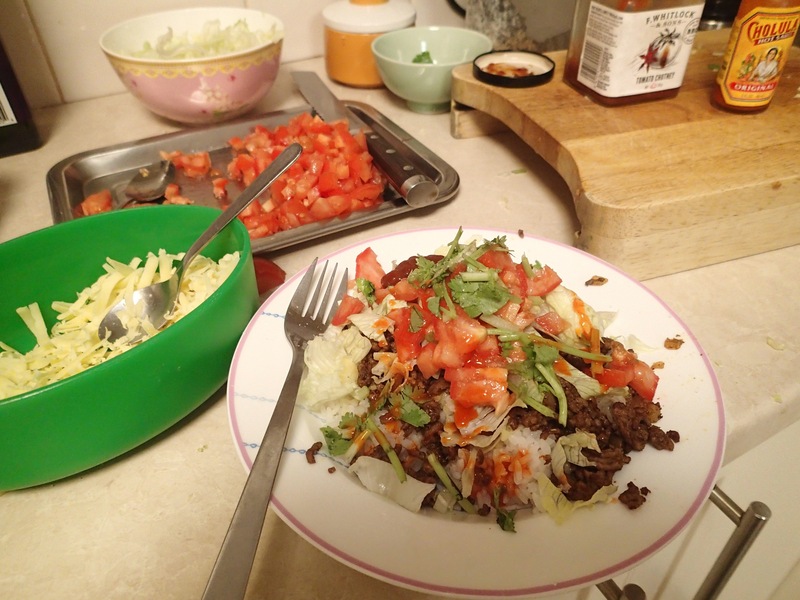 In between batches of cupcakes, I made us Taco Rice for dinner. Multi tasking at its finest. 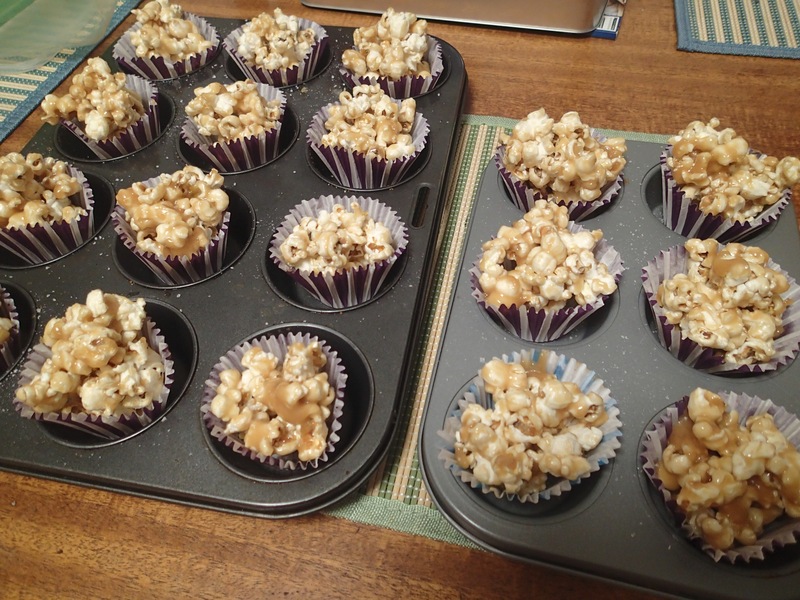 And then I made Salted Caramel Popcorn. 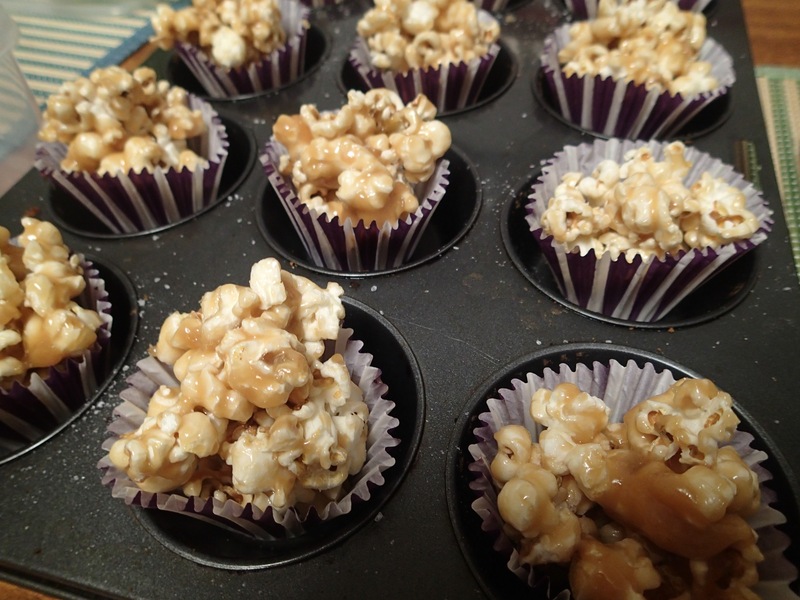 A deliciously simple treat – the recipe is on the back of the popping corn packet.